`Mab` cut-throat razor with ivory handle in its original brown cardboard box. 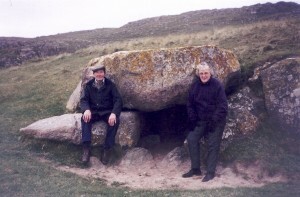 Used by John MacKinnon of Lodge Farm, Kirkapol. 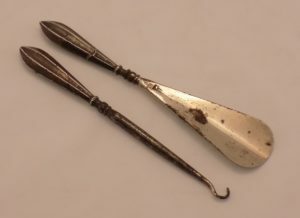 Made by Mab Co., Birmingham, 1890-1920. 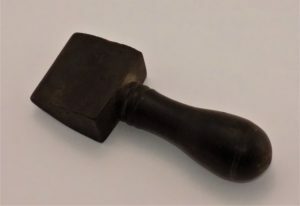 Advertised as “Can be used entirely without stropping. At the Great Shaving Contest at the Royal Aquarium, little Nelly Wick shaved five men in 4 minutes and 42 seconds with the Mab Razor. Collection of 20 photographs and information relating to the MacKinnon family of Lodge Farm, Kirkapol, and others. Collection of 20 original black & white and colour photographs relating to the MacKinnons of Kirkapol and their families in Canada, Johnnie MacInnes, ? Munn, Angela MacRae, Mary MacKinnon, Alic MacPhail, Armstrong, Flora MacPhail, John Armstrong, over the period 1850-1985, plus hand-written information provided by Fiona MacKinnon, Lodge Farm. Seven photos accessioned separately L7, M11 & Q149-Q153. 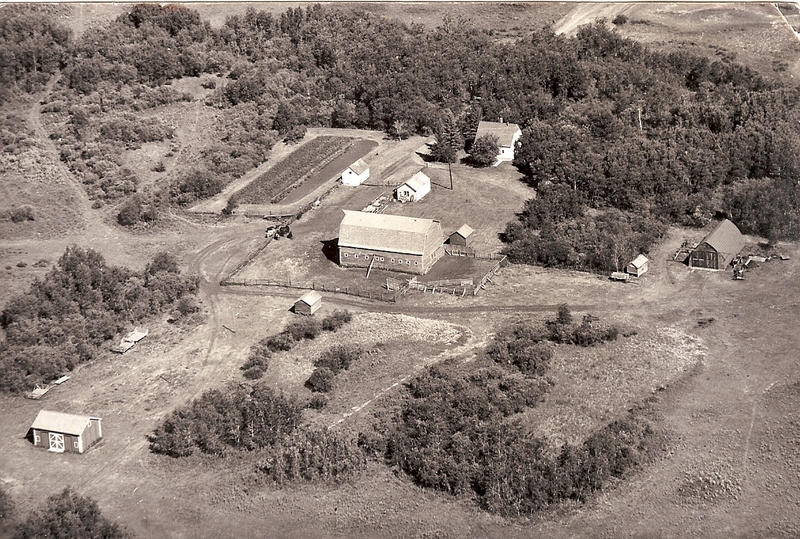 Aerial hotograph of the MacKinnon homestead, Canada. Black & white aerial photograph of the MacKinnon homestead in Canada around 1960. 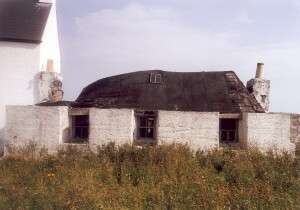 John MacKinnon, Kirkapol, farmed here before coming home to Tiree in the 1930s. Collection of rent receipts for Lodge Farm, Kirkapol from 1928 to 1955. Collection of rent receipts for Lodge Farm, Kirkapol paid by John MacKinnon between 1928 and 1955; notice of a rent increase in 1954. Six invoices from the Wool Marketing Board to John MacKinnon, Lodge Farm, Kirkapol dated 1953-61. Five invoices from the Wool Marketing Board to John MacKinnon, Lodge Farm, Kirkapol dated 1953-61, giving weight, grade of wool and price per pound (lb); one invoice from the Ministry of Agriculture and Fisheries British Wool Section, undated. Copy of birth certificate for John MacKinnon of Lodge Farm, Kirkapol, born in 1885. Birth certificate for John MacKinnon of Lodge Farm, Kirkapol, born on 15th October 1885. Compulsory Vaccination notice issued on the birth of John MacKinnon, Lodge Farm in November 1885. Nine receipts from coal merchant Charles Lamont of Ruaig from 1940 to 1955.